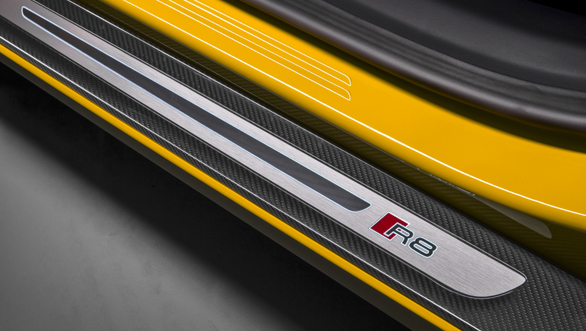 The Audi R8 V10 Spyder is coming. The Spyder will go on sale next month in Germany with prices starting at EURO 179,000. 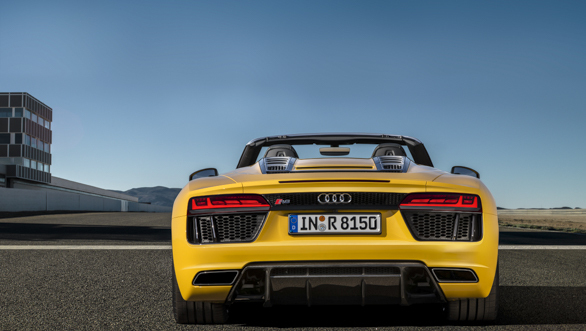 The Audi R8 V10 Spyder will come to India shortly. Audi India revealed the launch dates is spring 2017, which we think means May to August 2017. Price? We are expecting Rs 2.5 crore or thereabouts, but there isn't any official confirmation. The car is Rs 1.3 crore, equivalent in Europe so our guess shouldn't be too far off the mark. 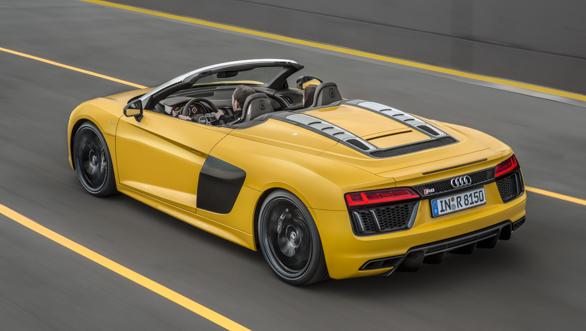 The new R8 Spyder represents the second generation of the car and in that sense much of the car is new. As ever, Audi's goal was to create a car that outdoes the previous one, outdoes its peers and meets the new emission and economy requirements. Not complicated, is it? Audi says it goal was "faster, stiffer, lighter." How to go faster, then? Audi's new engine is a 5.2-litre V10 which uses both indirect and direct injection to do the business. The motor debuted in the current-gen R8 Coupe and Audi says the bottom end performance and economy comes directly from the indirect injection system. In the mid-range, the system still carries the lion's chunk of the load while the direct injection system has started to contribute fuel. Flat out, the direct injection takes over and as much as 85 per cent of the fuel enters the combustion chamber directly, while the rest is sprayed into the intake. Peak power and torque are 540PS/540Nm. The R8 Spyder will hit 100kmph in just 3.6 seconds and the top speed - we didn't verify this on the Spanish auto routes - is 318kmph. The difference? The new car has 15PS more, is 0.2s quicker to 100kmph and has 7kmph in store after the old one's maxxed out. What the numbers cannot tell you is how delicious it sounds. A button on the steering (which also hosts the engine start/stop, performance mode and more) opens an exhaust valve that allows the V10 to sing.And I mean SING. Floor the throttle and the superb 7-speed S Tronic shifts three gears down. There's a pause almost as if you were in a cartoon where the legs start spinning but the movement is coming next. And then with an unexpectedly angry and loud bellow, the Audi shoots forward with a ferocity that you simply do not expect. Especially when you note that it does the same thing but with far more elegance and restraint when you don't have the exhaust valve open. In fact, this bellow, the popping and burbling on the overrun or trailing throttle became the things I was addicted to for the duration of the drive. And trust me, when all the schoolboy and girls want to hear it, you have to oblige. But all this naughtiness does not mean Audi forgot its emissions and economy responsibilities. The R8 will coast with both clutches disconnected and can deactivate a bank of cylinders when needed at low loads. 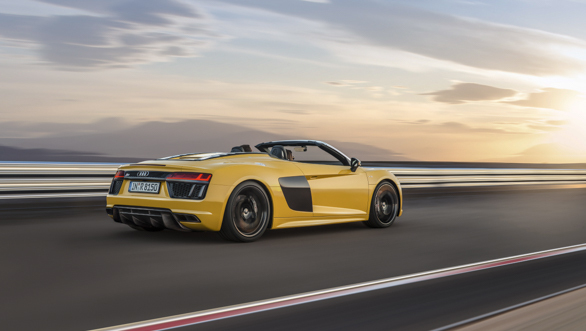 Coupled with the standard start-stop system, Audi says the R8 is capable of managing 8.6kmpl. The natural challenge for a convertible is to make for the lack of a roof in structural strength terms. For this, Audi uses their traditional aluminium and carbon fibre space frame, of course. But the sills and other areas use thicker aluminium cross sections to create a structure that has the same stiffness as the previous generation coupe. At 208kg, this frame is just 8kg heavier than the current coupe's and the whole Spyder weighs 80kg extra. I've already mentioned how good the transmission is, but the Quattro all-wheel-drive must get credit as well. The all-wheel drive clutch is now water-cooled and it can redirect 100 per cent of the torque to one wheel if needed. It is further supported by a mechanical locking differential at the back. The Audi Drive Select offers four settings including Dynamic and Comfort. But if you opt for the R8 performance leather steering wheel (all of the test cars had these), it adds a performance button with a chequered flag icon on it. This button when pressed selects performance mode and twirling the knurled ring selects the settings for dry, wet and snow performance. We had fully dry weather and most auto route and coastal roads with low speed limits so the exploration of the system will have to wait for a more conducive environment. But it is a go-kart! Yes really. The Audi wraps around you intimately and it feels like a small, compact car to drive. The flat and horizontal, roll-free attitude and the quick reflexes make for a car that is huge fun even at slow speeds around a mountain road. The steering responses are accurate and follow the directions from your fingertips very very accurately. The Audi also doesn't kick off into understeer very easily either which is an excellent attribute for a quattro-equipped sportscar. What is really impressive though is the magnetic dampers and how much range they have. In Comfort mode, the car is very easy to drive and while Spain has no roads that can rival ours in poorness of state, which is why I can say that the Audi R8 has very good ride quality for a supercar and in Indian conditions, you might actually venture out in it a lot more than you would in something else. But that is all I am going to say on the subject. When you switch to Dynamic mode and the suspension stiffens up, it feels like a proper sportscar. The chassis feel is good but no harshness is transmitted from the road surface to you. Audi is particularly proud of their new soft top design. It weighs just 44kg and it folds down in 20 seconds at speeds up to 50kmph. Audi says the electro-hydraulic drive is extremely complex and they're super happy it works so well. I like how the new Spyder looks. It's 36mm wider than earlier and Audi emphasises the width with more horizontal elements at the front as well as rear, including the sleek head and tail light designs. Front and centre is the honeycomb grille that Audi calls the SingleFrame which is wider and lower than earlier. The carbon tips on the splitter on our brightly coloured cars look wonderful too! The LED headlights are now flanked by the optional Audi laser light system identifiable by lit blue separators inside the head light. Too bad, we never got to see the laser light in action though. For downforce, Audi has added a large diffuser and the sideblade design has been updated as well to feed more air to the V10. 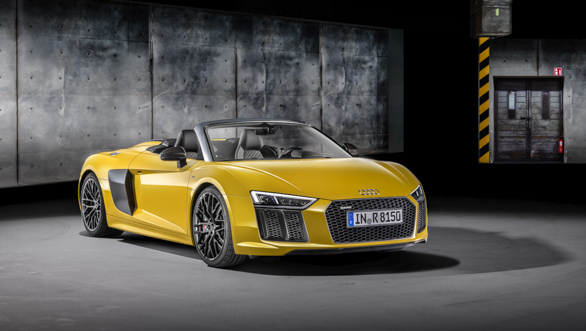 The Audi R8 Coupe supplies the essential elements of the new Spyder's interior design. I really like Audi's usual all-black interiors and this one wasn't the exception either. The driver focussed cabin and the Audi virtual cockpit with its high resolution 12.3-inch screen is beautiful. The display switches between modes and information., What is initially odd, perhaps, is the lack of a central screen that we've gotten used to but honestly, you never miss it. I would like to tell you about how much Audi has done with the infotainment system as well - microphones in the headrests etc! 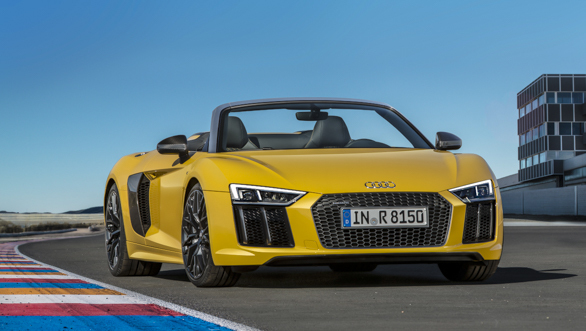 But the point is that the Audi R8 V10 Spyder is a very likeable sportscar. The performance and especially the sound is unbelievable and the blend of inch-perfect handling and a supple (for a car this fast) ride is a wonderful feeling. 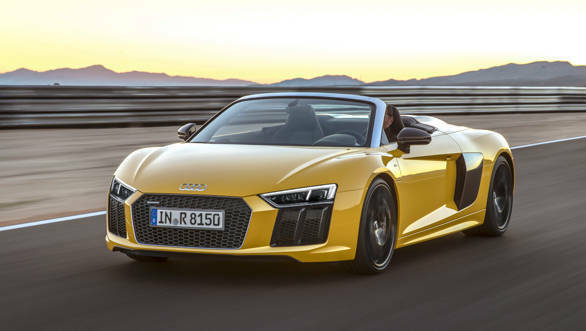 As usual, Audi will have a whole host of options and accessories that you can deck the R8 Spyder with when the car goes on sale between May and August 2017 with prices likely to start at Rs 2.5 crore.